Honestly? I can’t see ANY difference! 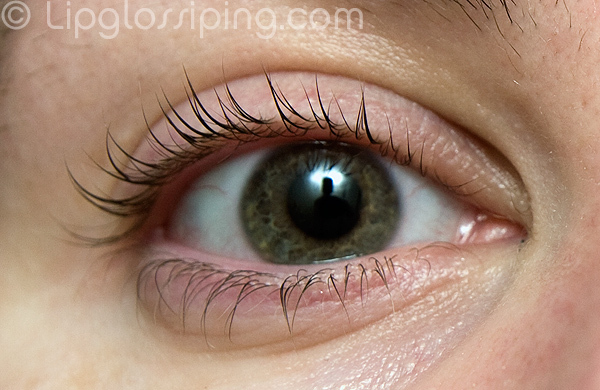 If anything, your lower lashes seem longer/fuller in the first picture (albeit by not much). I definitely won’t be buying this one! Teeny weeny bit! I still might give it a go. I do think I see the slightest bit of different, but maybe not enough to go out and buy this product. 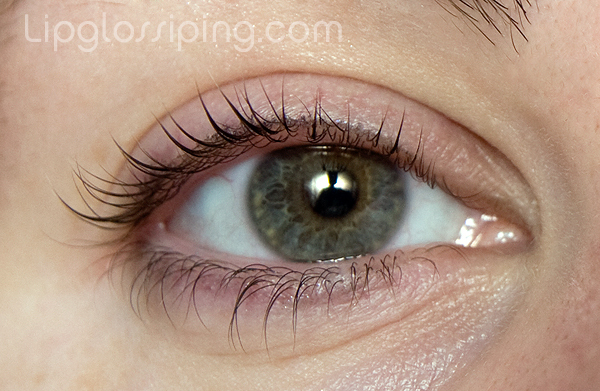 I don’t know if I believe any of these lash serums/treatmeants or whatever will ever make that much of a difference! So not “double” lash by a long stretch! They seem a little longer, but in terms of fullness I think I prefer the first pic. I personally prefer L’Oreal’s Renewal Serum as I have noticed improvement in length and thickness of my lashes. The only difference I can see is that they’ve curled a tiny bit. They looked fine in the first place! They looked great before you started! I can’t really see a difference to be honest, not enough to make me go buy it anyway. Thanks for doing this though! I can’t say I see any difference between the “before” and the “after” pics, but jeez do you have nice lashes! It looks like you have two or three rows of lashes all growing one on top of the other! If your lashes are sparse, then there’s just no hope for me, ha ha! I’m sorry – gotta say I can’t see a scrap of difference. That said, you have very lovely long eyelashes anyway, you lucky thing!